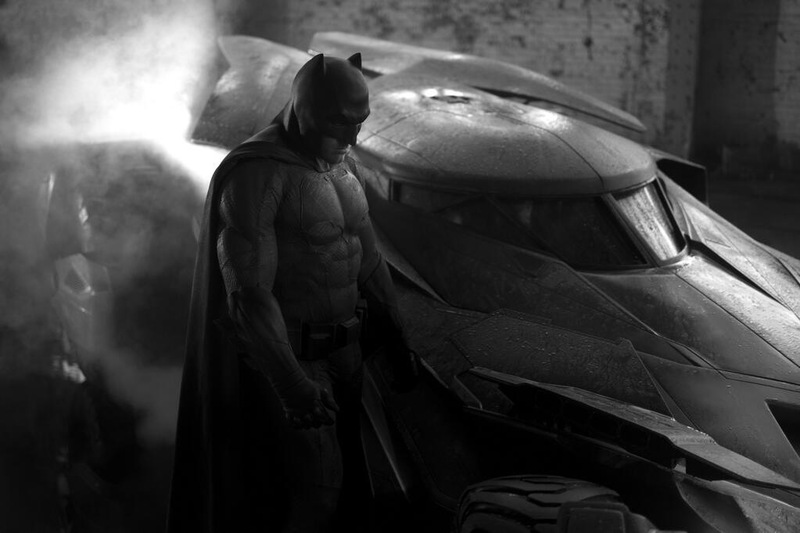 First image of Batfleck and the Batfleckmobile? I say allegedly, as I haven’t seen the source of the photo yet. If it’s the real McCoy, I have to wonder what they’re thinking? I don’t think Batman has ever worn a completely black costume and the batsymbol on his chest is practically invisible. I thought the lines were veins running through his chest, a la Geoge Clooney’s infamous Batnipples. Have to wait for some verification before I come to a final opinion.